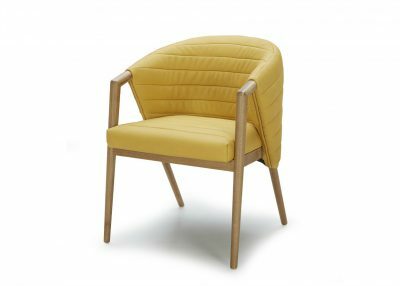 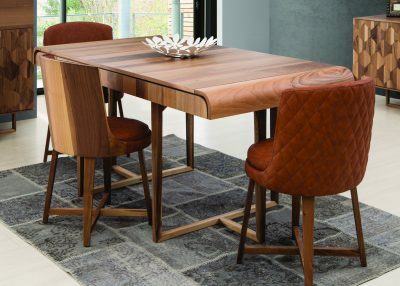 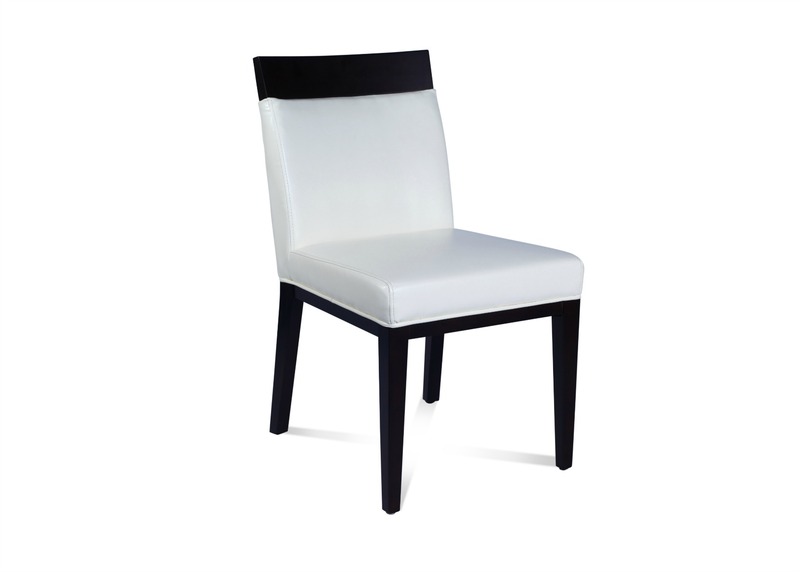 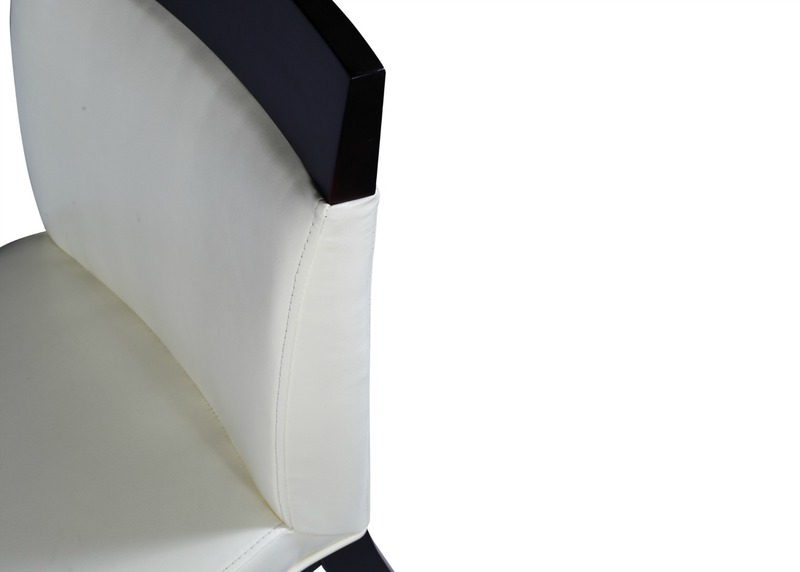 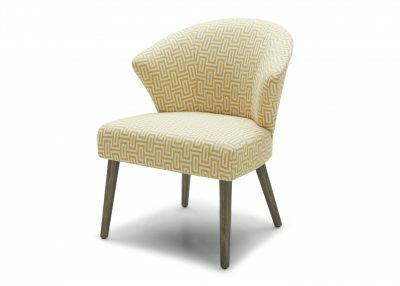 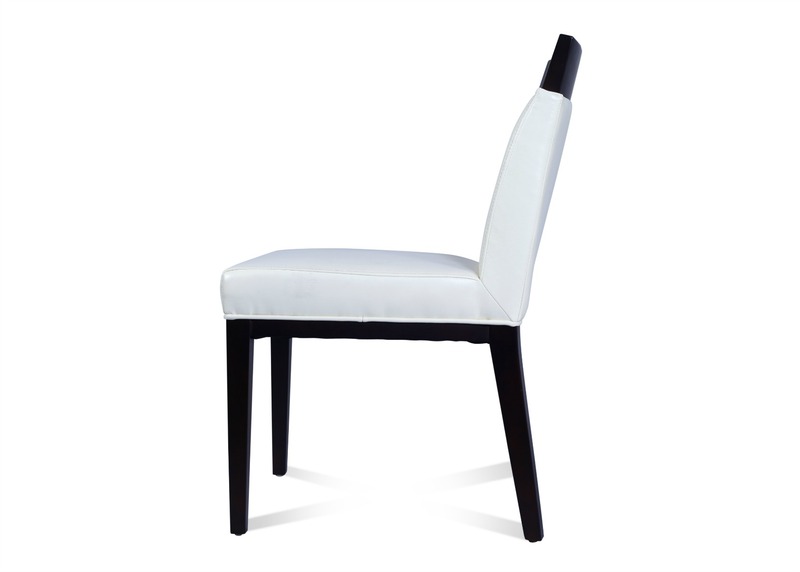 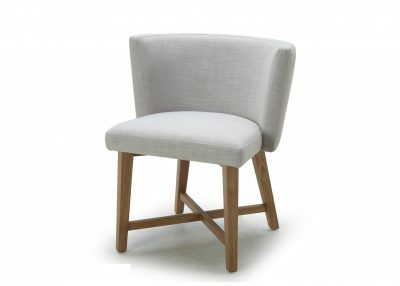 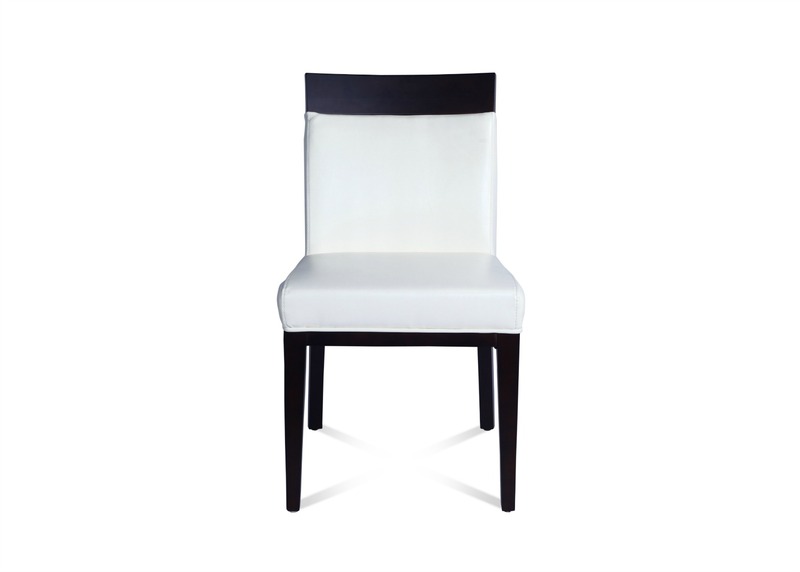 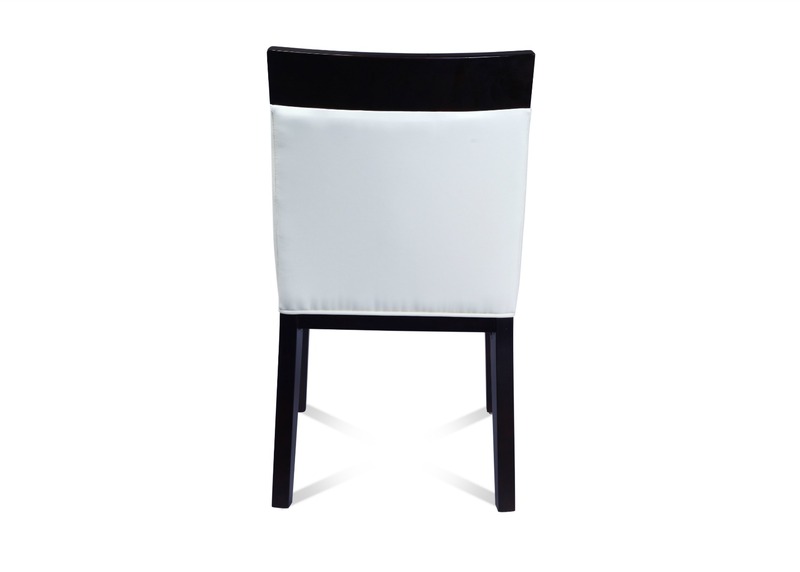 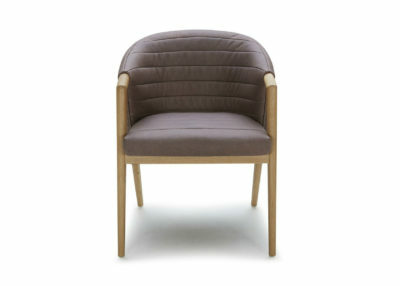 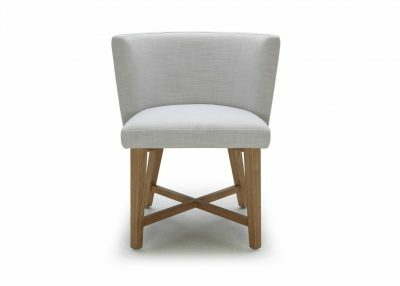 An elegant dining chair in contemporary style with solid wood base and artificial leather upholstery. 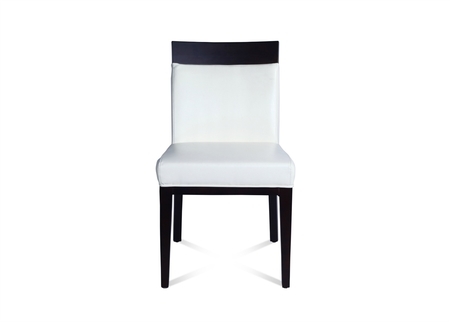 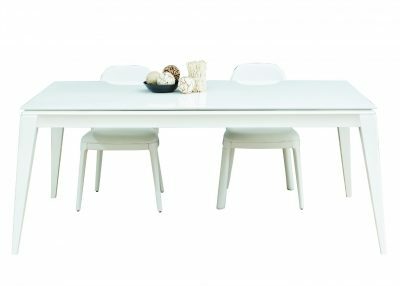 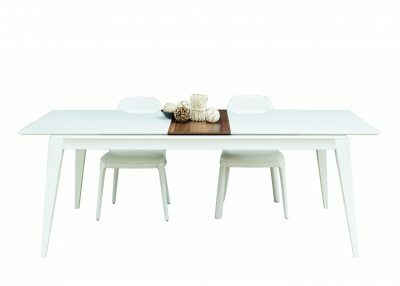 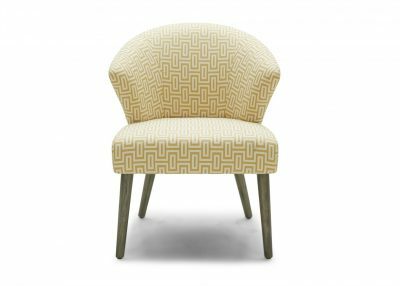 Its white color, straight back and white upholstery gives it an understated rich look that would go well with both classical and contemporary interiors. 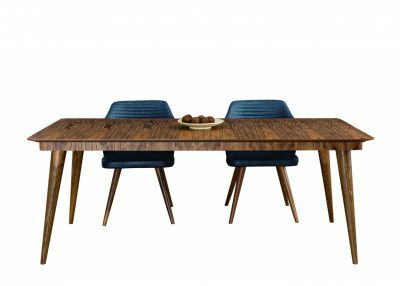 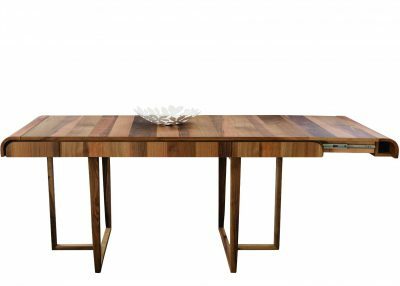 Would go well with glass dining table or any dark colored wood top dining table.